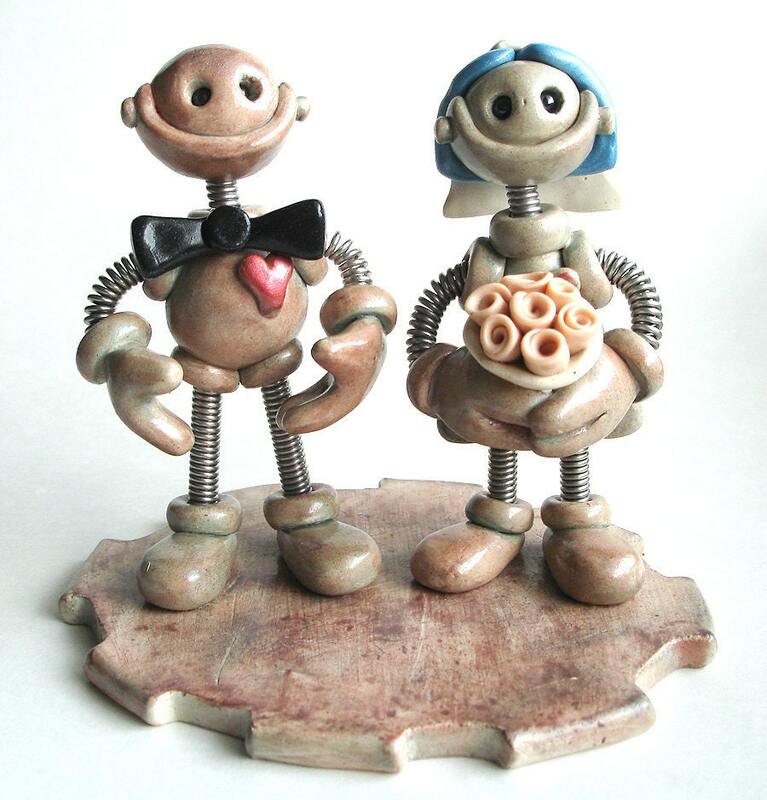 Grungy, rustic and UBER cute Robot Wedding Cake Topper. That unique touch you've been look for that special day? You just may have found it: Faded stoneware style, blue, brown, pink and all Geeky Cute. This robot sculpture is (in inches): Height 5" x Width 4"